Greenstone Equity Partners, a Dubai-based investment and advisory firm, has advised Tri-Star Resources on the establishment of a joint venture company, Strategic & Precious Metals Processing (SPMP). The JV will construct and operate a 20,000 tonne per annum nameplate capacity antimony metal and tri-oxide manufacturing roasting facility in Oman called the "Roaster Project". 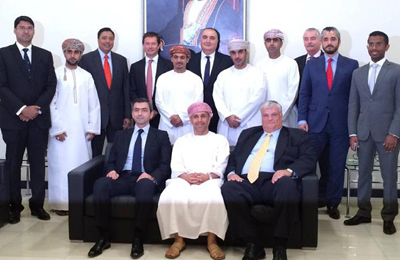 Tri-Star has entered into a shareholders agreement with the Oman Investment Fund (OIF) and Castell Investments. Greenstone sourced the equity capital and is also advising SPMP on the debt financing required for the Roaster Project. Alex Gemici, chief executive officer of Greenstone, said: "We are proud to have aided the closing of a transaction which is not only positioned to provide attractive returns for its shareholders but also to contribute significantly to local job creation and economic output in Oman. “Greenstone shares the vision of investors such as the Oman Investment Fund of promoting the local economies of the GCC and establishing profitable companies and joint-ventures to foster the long-term development of local industries." SPMP will be incorporated in the Sohar Free Trade Zone in Oman. The Roaster Project remains subject to certain conditions including securing banking finance and obtaining the necessary permits to operate the Roaster including environmental approvals. Under the shareholders agreement, the shareholders will own and control SPMP in the ratio 40 per cent by Tri-Star Resources, 40 per cent by OIF and 20 per cent by Castell. The funding structure is expected to include at least $30 million of project finance to be raised by Greenstone from local and regional banks. The balance of the capital cost of $30 million to $40 million is expected to include a mezzanine loan of $10 million from OIF with the balance to be provided as equity by the joint venture parties over the construction phase of the project. The joint venture parties are progressing towards completing the final approvals and financing package so that site preparation work and construction can commence this year. The construction is expected to take up to 18 months, including commissioning and operations are expected to commence in 2016. Omar Al-Gharabally, managing director and Partner of Greenstone, said: "We are pleased to be the sole and exclusive advisor to this pioneering local transaction. We have maintained strong relations with OIF for some time and it was clear that with their recent shift in investment policy to focus on domestic growth that this investment opportunity would hold strategic value to OIF and the Sultanate.